It happens once a year on August 1 in Rosslyn's Dark Star Park. 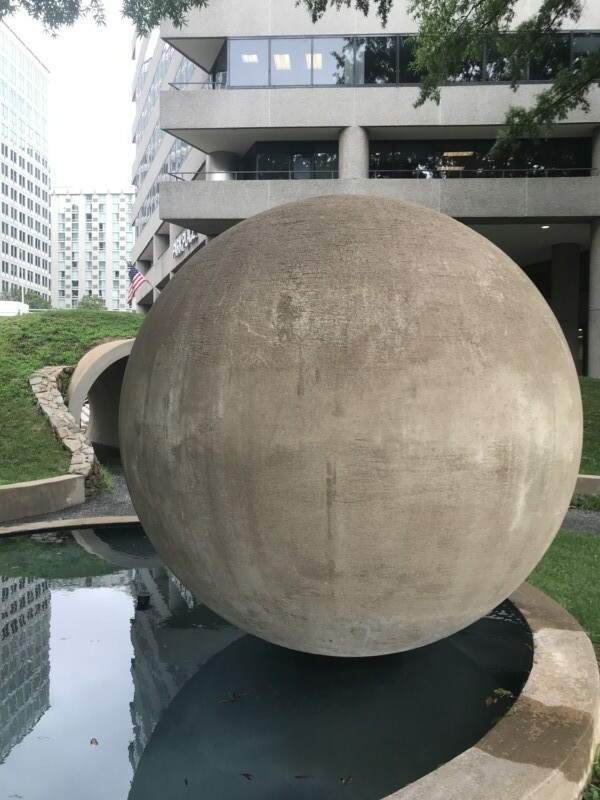 At exactly 9:32 a.m. on August 1, if the clouds part and the sun peeks out, the concrete spheres and vertical poles that make up Rosslyn’s Dark Star Park will put on a show like no other. 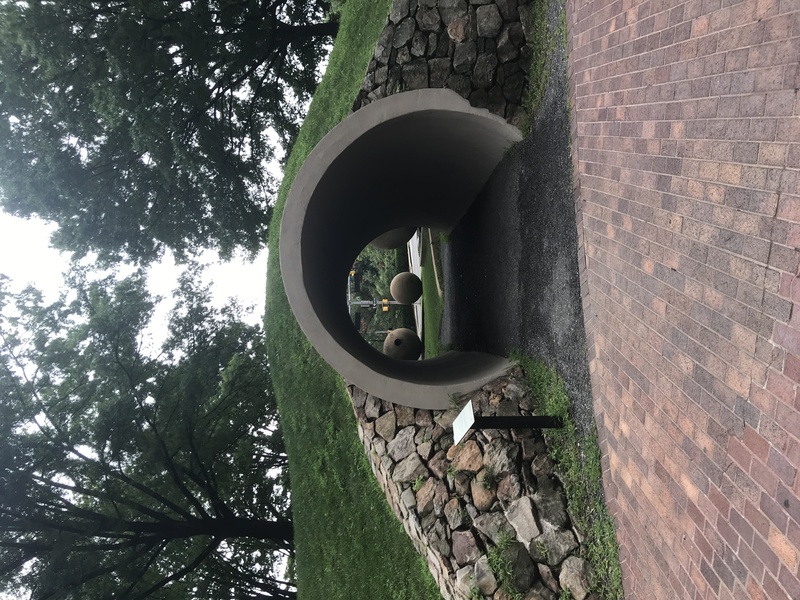 In 1979, famed land artist Nancy Holt was given the reigns to develop, design and install an entire public park—a rarity for an artist. 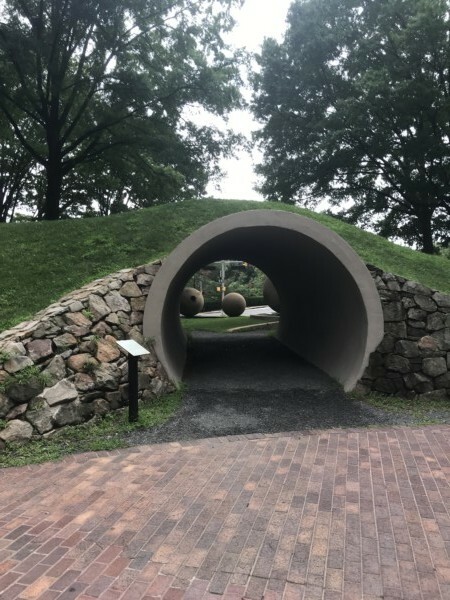 It took five years and $200,000, but when Dark Star Park was unveiled in 1984, it was Arlington’s first publicly commissioned art piece. 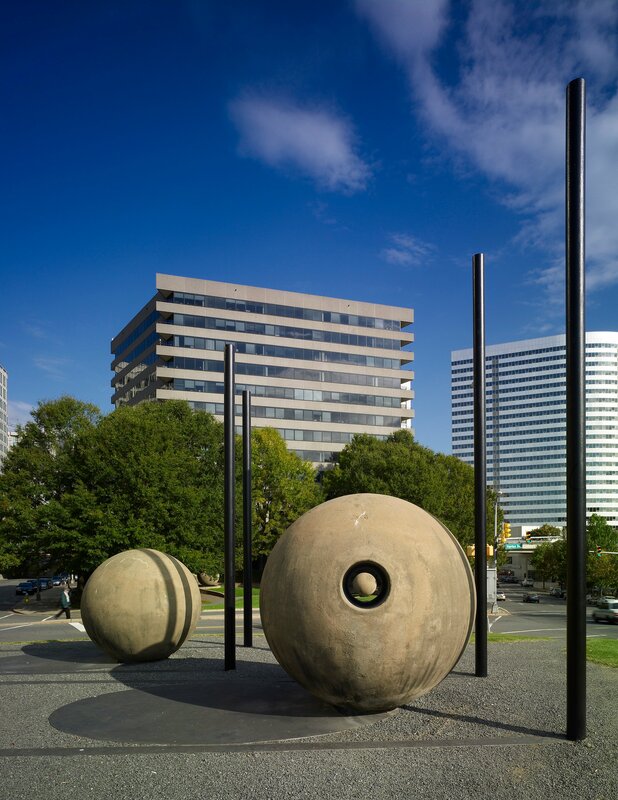 It immediately became the centerpiece of the county’s now-robust public art program. 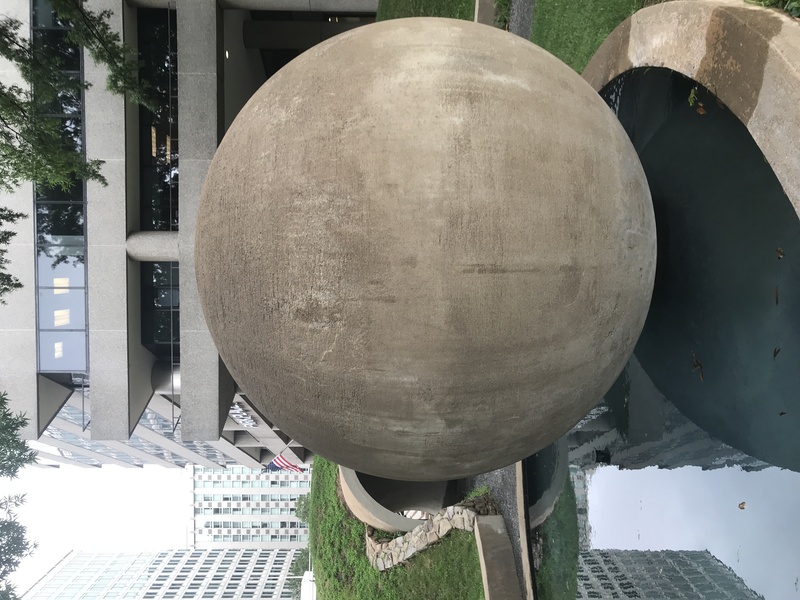 Located between Fairfax Drive and N. Lynn Street in Rosslyn, Dark Star Park gets its name from the concrete spheres’ resemblance to fallen, extinguished stars. In fact, Holt hired an astrophysicist to help her during the project’s design phase to ensure she got the math and science exactly correct. August 1 is, in fact, a call back to Rosslyn’s history. 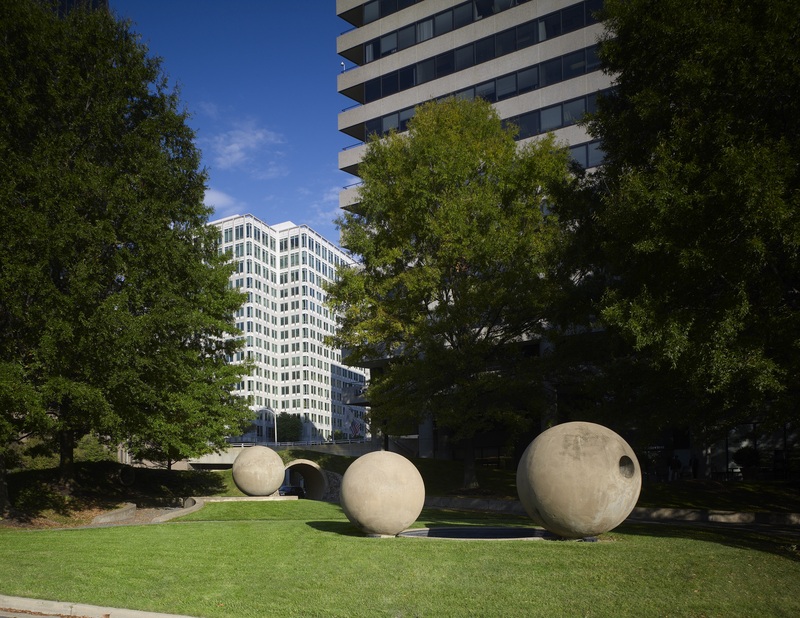 It was on that date in 1860 that William Henry Ross purchased the land that would later become Rosslyn. The exactness of the time (9:32 a.m.) is simply because Holt favored the morning light. Public art director Adams knew Holt well and worked with her to renovate the park back in the late 1990’s and early 2000’s. She says Holt’s goal was to create an art installation that blended naturally into the urban setting. Holt died in 2014, but one of her greatest and most famous works still lives in our midst. This year, an early morning tour of the park is being offered (though it’s currently at capacity). Community members can also attend a public viewing and talk about the installation, right around the time those stars align.